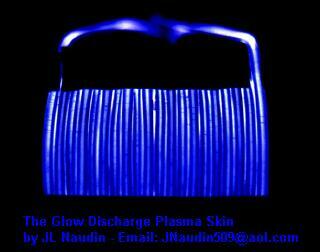 The purpose of this preliminary test is to check if a Glow Discharge Plasma Skin is able to generate a thrusting effect. 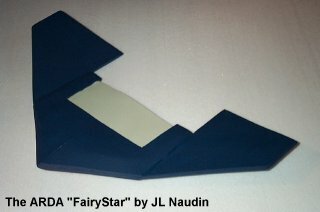 This is a first step towards a design of the full scale GDP Wing profile used in an ARDA Flying wing. In a future design the wing profile will be covered by an uniform cold plasma (OAUGDP) generated by a glow discharge at high voltage and at high frequency. 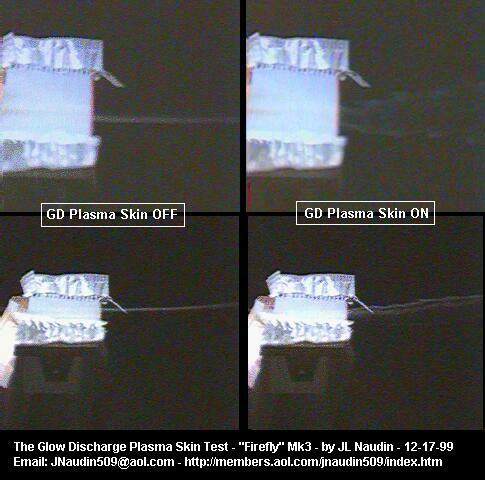 A kind of GDP skin has already been successfully tested at the NASA Langley Research Center by Roth and Wilkinson and a full report has been presented during the 36th Aerospace Sciences Meeting in Reno (January 1998), see Boundary Layer Flow Control with a one Atmosphere Uniform Glow Discharge Surface Plasma. AIAA 98-0328. - a GDP Skin with spanwise-oriented electrodes. 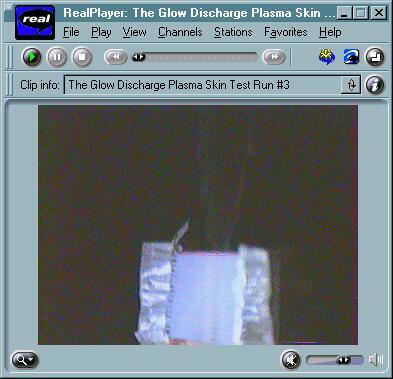 A stroboscope lamp has been used to show at same time the glow discharge skin energized and also the smoke flow while the GDP Skin is activated. Today the best configuration which gives the best thrusting effect is a GDP Skin with the spanwise electrodes setup. See the picture below, you may notice that when the plasma is off, the smoke flow goes up slowly and in a straight path. 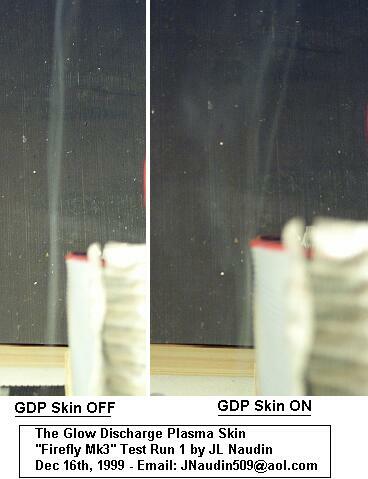 When the plasma is activated (GDP Skin ON), the smoke flow is accelerated (see the videos) and attracted stongly towards the GDP Skin due to the paraelectric forces which are indepedent of the polarity of the field. These pictures have been turned 90 degrees to right for a better understanding of the main effect on the smoke flow. 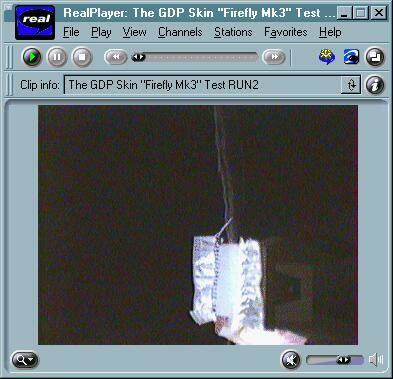 You see a front and a right view of the GDP Skin in action. You may notice that, when the plasma is activated, the smoke flow gains speed and becomes divergent at the output due to the increase of the speed .